With more than 60 commercial buildings and homes dating from 1870 to 1940 and a district on the National Register of Historic Places, Apex is restoring its turn-of-the-century railroad heritage. 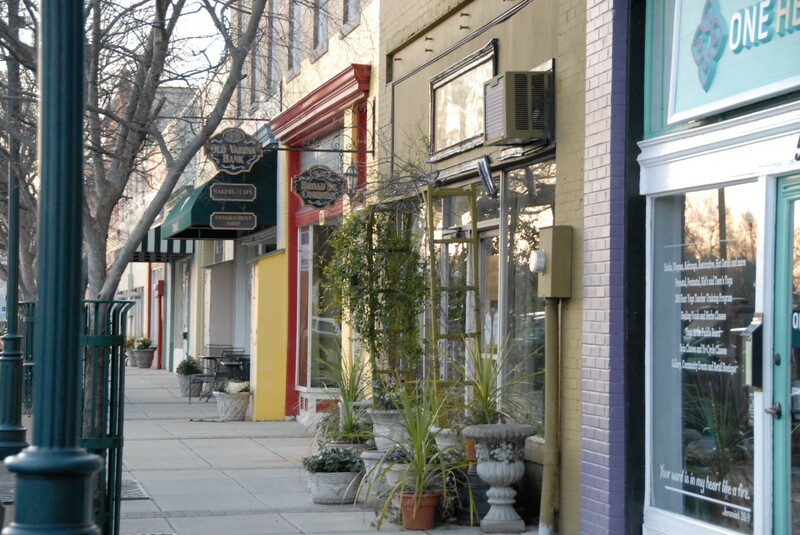 Downtown Apex features antique and specialty gift shops, as well as restaurants that include the award-winning Anna’s Pizzeria. Tour historic Hughes and Salem Streets. Visit the circa-1914 Apex Union Depot. 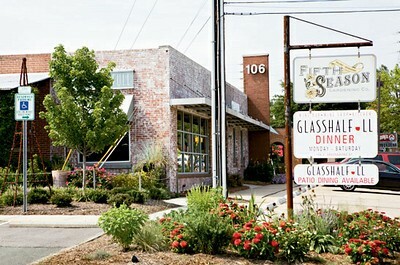 Dine at Daniel’s and experience First Fridays downtown or the Peak Fest in early May. Indulge your inner fashionista at Beaver Creek Commons/Crossings. Further south, the North Carolina Railroad Museum offers rides on restored trains. Named the number one Best Place to Live in America by Money magazine (2015). With a population of around 21,000, Carrboro is home to a community of artists, farmers, musicians, laborers, writers, performers, creative minds, and just plain folks who believe variety is the spice of life and has a reputation of one of the most progressive communities in the Southern United States. Located a stone's throw from the UNC campus, what started out mainly as a railroad depot for visitors to UNC eventually evolved into a mill town and home to menial workers for the University. In the twenty-first century it has transformed into a hub for artistic creativity, cultural diversity, and music of all genres with local hot spots such as the Cat’s Cradle & The ArtsCenter. 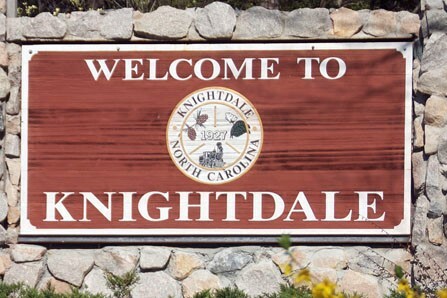 Ranked as the 7th largest city in NC & filled with renowned restaurants, endless shopping, booming business, quality entertainment and an unforgettable cultural and recreational experience, it’s no wonder that Money magazine has frequently ranked Cary one of the Best Places to Live in the country. 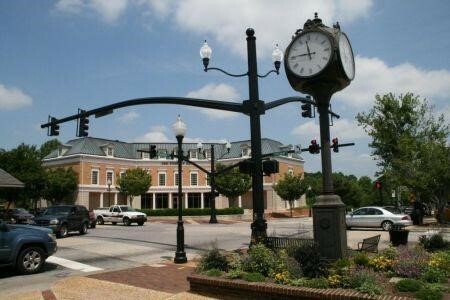 In fact, Cary consistently makes the honor roll among the nation’s top cities, being recognized as one of the Safest Places to Live in America, Best Places to Retire and Best Places to Raise a Family in the United States. Cary is home of the USA Baseball National Training Complex, NC’s only professional soccer team the Carolina Rail Hawks and summer feature of the North Carolina Symphony. With its small-town atmosphere and proximity to Raleigh, RTP and RDU International Airport, Cary provides a variety of enjoyable and economical recreational, sports, environmental, historical and cultural arts programs and services. Experience the natural beauty waiting on one of the 39 greenway trails, open sunrise to sunset and providing more than 70 miles of recreational amenities for walking, jogging and bicycling. Chapel Hill has been named a Distinctive Destination by the National Trust for Historic Preservation. 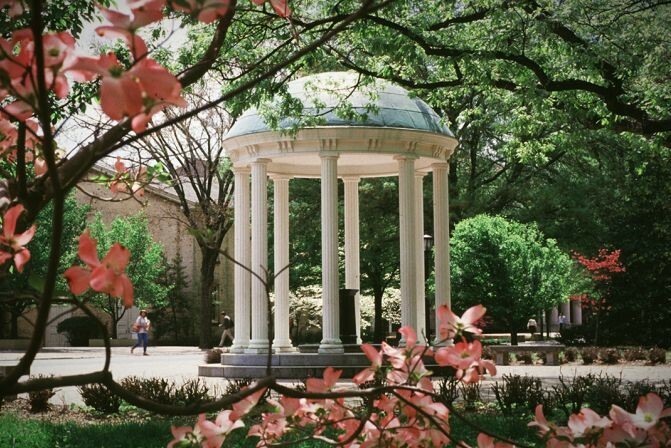 Calling itself "the southern part of Heaven," the town of Chapel Hill is home to the grassy malls and brick walkways of the University of North Carolina's historic campus since 1795. The presence of the country's first public university has allowed a vibrant arts and culture scene to grow & thrive along the infamous Franklin Street, known as the center of the social life in Chapel Hill. You can watch the star's fly at the Morehead Planetarium or catch a varsity game pitting the wildly popular UNC Tarheels against their historic Southern rivals. It’s a trend-setting playground full of sights, sounds and tastes that make it the kind of place that authors, musicians, and artists call home. 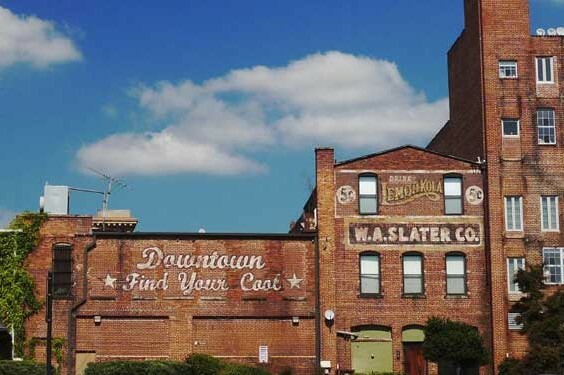 Durham has a culture of art and creativity expressed visually, culinary, and through performances where there are many festivals, art exhibitions, historic sites, sports venues, nightlife, shopping, nature areas, and more. Popular claims to fame include Duke University, Duke Medical Center and the Durham Bulls Baseball Team. Durham has been ranked as the "Foodiest Small Town in America” and over 40 Durham restaurants and chefs have earned reputations in high profile media sources such as Bon Appétit, Gourmet, The New York Times, and Food & Wine. With more than two dozen mobile food units and trucks, Durham originated the area’s food truck rodeos and hosts them on a regular basis. Fuquay-Varina started out as a resort that attracted folks from near and far who sought cures from the water at Fuquay Springs. Today, Fuquay-Varina remains a great town for visitors looking for a day-trip adventure or weekend getaway where you might stay at either of the two unique B&Bs, Chateau Bellevie and Fuquay Mineral Spring Inn and Garden. 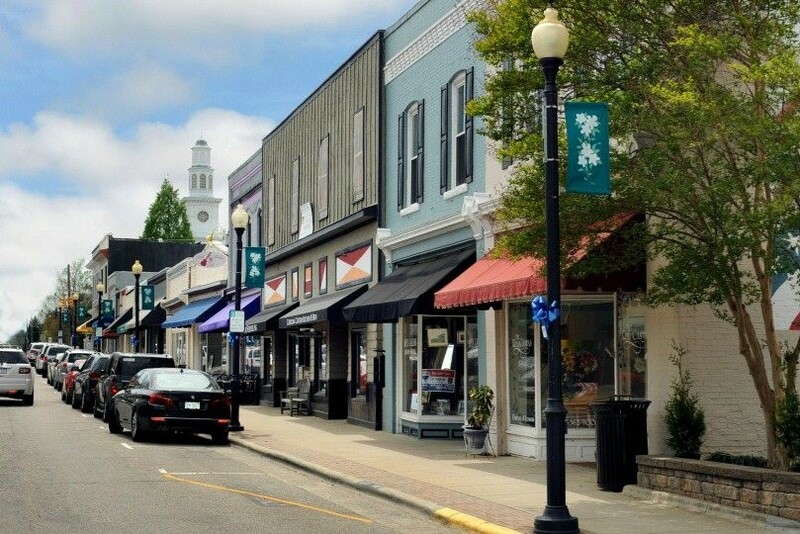 The town has flourished into a vibrant, family-friendly community that has seen its population more than double in the past 10 years to 19,000 citizens where you can shop for antiques, enjoy a good meal or relax at a coffeehouse. 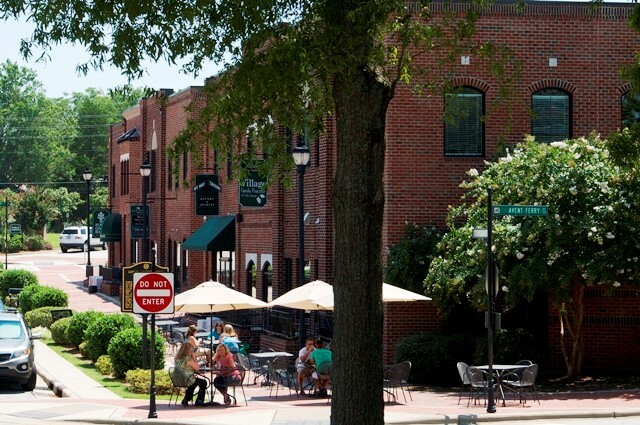 Boasting two beautiful downtowns, a colorful history, pedestrian-friendly streets, an excellent quality of life and a strong business community, Fuquay-Varina’s modern amenities mixed with vintage charm make it a special community to visit. 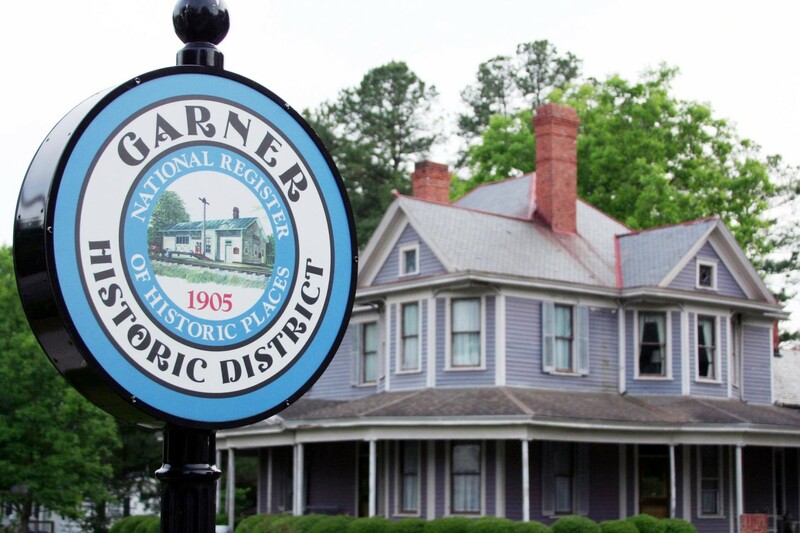 Garner has retained its small-town charm while boasting an exceptional quality of life thanks to hundreds of acres of award-winning parkland, an abundance of recreational and cultural arts opportunities and a broad array of shopping and dining options. The locals still gather at the Toot-N-Tell Family Restaurant, as much for gossip as for the traditional Southern fare. Downtown boasts a thriving performing arts scene where you can see top Broadway singers, nationally known comedians and one of the Triangle’s premier theater groups at the Garner Performing Arts Center. Just down the street you can go ice skating at Polar Ice House and nearby you can shop to your heart’s content at White Oak Crossing. You can play a round of golf at Eagle Ridge Golf Club and for some serious adult fun, zip up your driving suit and go, go, go at Rush Hour Karting. Holly Springs began as a crossroads near springs of fresh water at a spot where holly trees were numerous & travelers stopped by to quench their thirst. Now the town quenches its thirst at two of the area’s most successful microbreweries, Carolina Brewing Company & Bombshell Brewing Company (both offer tours on Saturdays). Holly Springs also has an impressive championship golf course at 12 Oaks that occupies more acreage than the entire downtown area. There’s also Bass Lake Park and Retreat Center, which features a 54-acre lake stocked full of fish for any fishing enthusiast, and the Holly Springs Cultural Center, which hosts events year-round, including concerts and films. 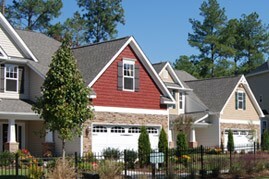 West of the airport and south of The Research Triangle Park is Morrisville. Shop at Grace Park or Park West Village or visit the Triangle Rock Club, the Southeast's largest indoor rock-climbing facility. The town is home to Cedar Fork District Park and the East Meets West Festival celebrating Morrisville's diverse cultures from around the world. Home to Capri Flavors, which is a restaurant supplier specializing in Italian foods, this family-owned business has a market open to the public and cooking classes on-site. Morrisville is also home to Lake Crabtree County Park, with more than 16 miles of trails, individual picnicking, catch-and-release fishing, boating, and nature study. 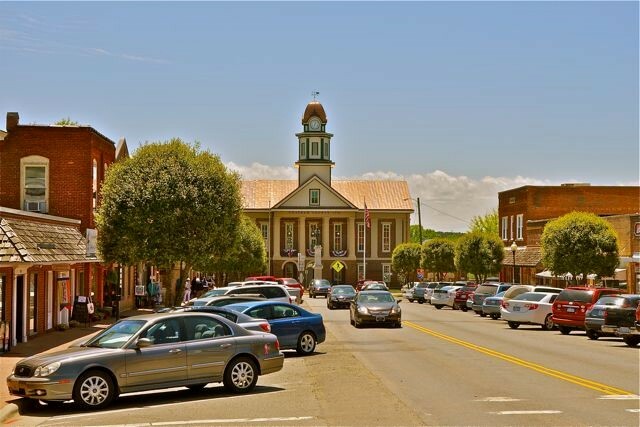 Pittsboro has many sights and activities to appeal to a variety of ages and diverse interests. Explore Jordan Lake, Fearrington Village, delightful B&Bs, vibrant blooms, challenging golf, food tours, wineries and wildlife sanctuary tours. Considered to be the next small town to grow & thrive in the Triangle, they’re home to the Chatham Park “Live, Work, Play” community with new homes, schools, shops and restaurants arriving monthly. Revel in endless opportunities for bird watching, biking, dining, hiking, shopping and more. Raleigh is known as the “City of Oaks” because of the impressive amount of Oak trees & is the state’s capital. It is one of the country’s fastest growing cities with large tech companies such as Red Hat and Citrix gracing the skyline. 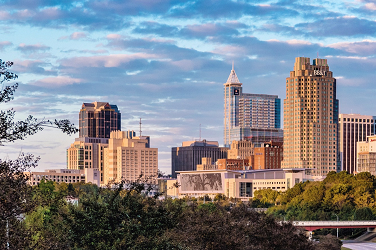 Downtown Raleigh offers fun & excitement for all ages with museums, art galleries, concert halls, restaurants, shops, bars, parks and even segway tours. With several Food Truck Rodeos, plenty of annual festivals & various holiday celebrations, there is always something happening on the weekends in Downtown Raleigh. Ranked as the 3rd most educated city in the US, Raleigh is home to 5 universities including North Carolina State University. Though the city showcases an exquisite modern, high-tech development, it also still holds the charm of the city’s extensive history with sections such as Historic Oakwood that anchors the Historic Oakwood Cemetery (built in 1869). It is home to the NC State Farmers Market which is open year round and boasts more than 60,000 square feet of fresh produce, plants and many local & imported specialty items. Since 1853, Raleigh has hosted the NC State Fair that comes every October and is open every weekend for the local flea market where you can find local vendors. For those who love the outdoors, Raleigh has over 200 parks where you can enjoy vast greenway trails, athletic fields, water sports, hiking and much more. Shop at The Cotton Company or the N.C. Specialty Shops, where you make your own gift basket of local NC souvenirs and stroll through other shops and art galleries dotting the 100-year-old town's historic downtown commercial district. Grab a bite to eat and shop at Sugar Magnolia Cafe or grab a hot dog at Shorty's Famous Hot Dogs, a family-owned business since 1916. Visit The Wake Forest Historical Museum and the campus of Southeastern Baptist Theological Seminary (which was the Wake Forest College campus before that school moved to Winston-Salem in the fifties). For the sports enthusiast, The Factory offers ice rinks, a skate park, indoor soccer, an inflatable playground, miniature golf and go-carts–while Heritage Golf Club & Hasentree Golf Club offer the best in play any time of the year. 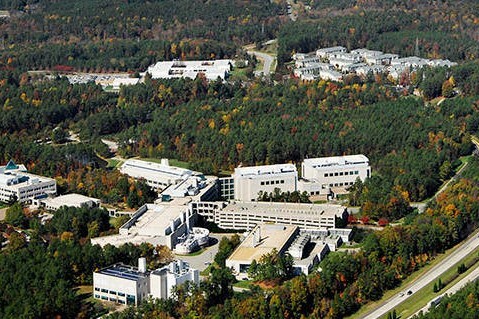 The Research Triangle Park is one of the largest & most prominent high-tech Research & Development parks in the world and is known as the “Silicon Valley of the South”. It is named for the three hub cities of Durham, Raleigh, and Chapel Hill, or more properly for the three major research universities in those three cities (Duke University, NC State University, and the University of North Carolina at Chapel Hill respectively). The park is home to over 200 companies employing more than 50,000 workers and 10,000 contractors, including the second largest IBM operation in the world (only smaller than the one in India). The park hosts one of GlaxoSmithKline's largest R&D centers with approximately 5,000 employees. The Cisco Systems' campus, with approximately 5,000 employees, is the second highest concentration of its employees outside of its Silicon Valley corporate headquarters.